Wilson Choo, who led or had a share of the lead over the first two rounds of the Professional Golf of Malaysia (PGM) Tour’s LADA Langkawi Championship, clinched the title by a stroke in Kedah today. The 27-year-old beat American teenager Micah Lauren Shin by the shortest margin to secure a second crown on the PGM circuit and consolidate his position as one of the Tour’s in-form players. 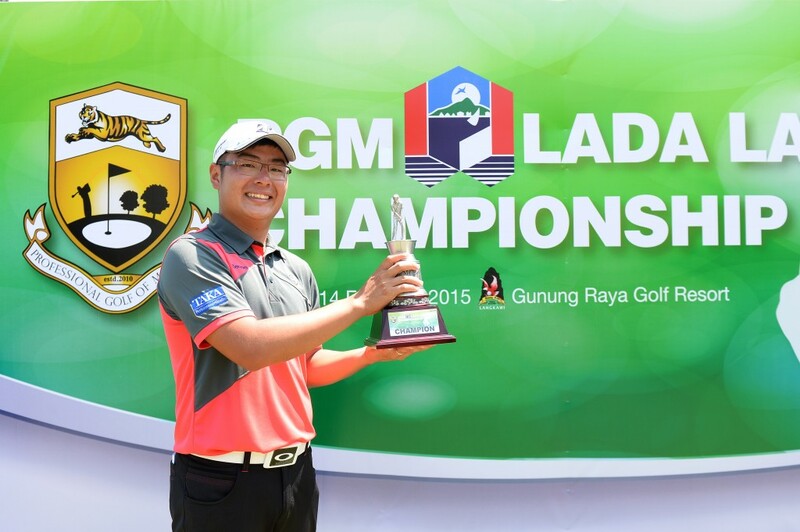 Choo, who jointly set a course record at Gunung Raya Golf Resort when he blitzed the Langkawi layout with an opening 64 on Wednesday, carded an equally impressive seven-under-par 65 this afternoon for an 18-under 270 total. Kelantan-born Choo always looked a good bet at the RM200,000 island event, despite stumbling to an uncharacteristic 73 yesterday. For Shin, the 18-year-old from Seattle, Washington, and whose father is a Korean and mother an American, this performance will no doubt hold him in good stead in the future. Playing with maturity that belied his age and having led the tournament after the third round, the lad was the only player in the field to shoot all four rounds in the 60s, closing with a 69 that gave him a 17-under 271 total. With this effort that matched one other occasion for his best finish since turning pro as a 16-year-old, Shin won RM23,000. 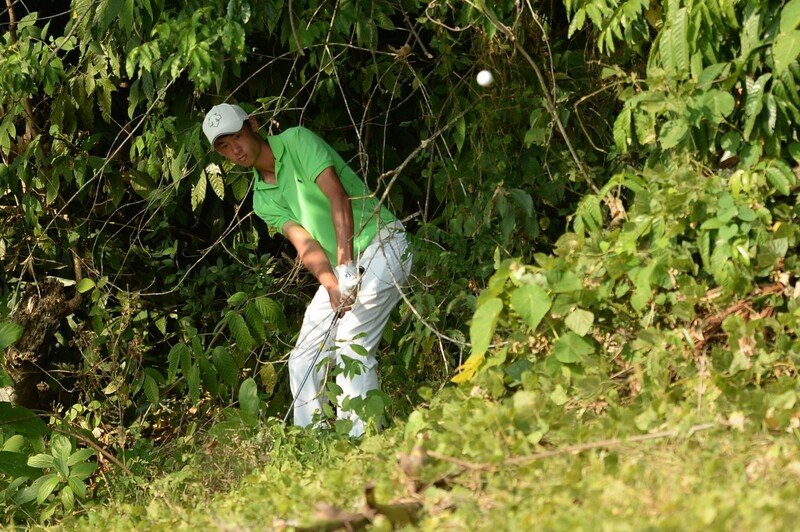 Lam Chih Bing of Singapore, one of the most experienced campaigners in the tournament, fired a last day four-under 68 and settled for third place – another stroke back. Thailand’s Nakarintra Ratanakul posted a 67 of his own for fourth place, finishing on 14-under 274, while Malaysia’s top-ranked Arie Irawan had a fourth round 69 that earned him fifth place on 275. In a field featuring several international players, Australian Jack Munro (66) was sixth on 276, while Japan’s Masaru Takahashi (69) was seventh, another stroke back on 11-under, while American Casey O’Toole (66) and Thai Pasamet Pogamnerd (68) sharing eighth on 10-under 278. Choo was delighted with his win and he had every reason to be. To a finish with a seven-under in the last round often deserves victory and that is exactly what he did to ensure that Malaysia continued with their growing dominance in the early stages of this season’s Asian Development Tour, who co-sanction the event, and which also comes with world ranking points. “I am really pleased that I managed to close out the tournament with such a performance and make it a winning one,” said Choo, who picked up a cheque worth RM35,000. “I didn’t play too badly yesterday but was over-par. Today the difference was that the putts went in and I was able to capitalise on some good iron-play,” he said. Over the first nine, Choo was four-under-par, and that came despite a double-bogey at the par-4 5th hole. He made up for it with an eagle at the par-5 8th hole. Three more birdies on the back nine, before a bogey at the 16th hole, was what got him home. “What make me more happy about winning here is that this was a strong field with many of the ADT players in it – making it more tough to win,” said Choo, who added that he had not changed much in his training regime, and just concentrated more on keeping things simple out on the course. “I will obviously be looking to continue with this sort of form and hopefully it can bring me more success,” said the newest multiple winner on the PGM Tour. Shim, meanwhile, said he was a little disappointed to come up just short of victory but added that he was happy with how he played. The next stop on the PGM Tour is the RM180,000 Nilai Springs Closed Championship in Negri Sembilan from February 25-28.